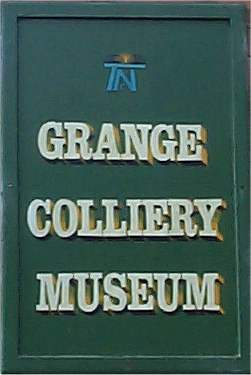 At The Windings we have our own museum dedicated to the miners that worked on this site from 1764 until 1979. The earliest known date for mining on this site is 1764, when it was part of Earl Gower & Co. estates. The Lilleshall Company which was formed in 1809 took over Grange Colliery and the pit became one of four collieries known as the Deepside Mines (the others being Granville, Woodhouse and Stafford). In 1896 it is listed as having had 239 men underground. The first shaft for deep mining was sunk in 1864 and the mine continued in production until 1951 when it was re-designated as a pumping and ventilation station for the nearby Granville mine, to which it was connected by an underground road. The combined pit closed completely in 1979, which ended all deep coal mining in Shropshire. The huge steel winding gear that dominates The Windings today was built around 1870 replacing an earlier wooden one. The structure is of national importance; it is one of only two remaining in-situ “tandem wheel headgear” structures in the country and it is a scheduled monument. The other is at Snibston in Leicestershire. This kind of headgear, with two wheels, one in front of the other, was an important feature of mines in the 19th and 20th Centuries.